A straight and almost rust free door apart from a small dent (circled) on outer skin and a small amount of rust starting on trailing edge of window frame. Not too late to just sand it off, treat it and paint over, with no need to get the angle grinder out. 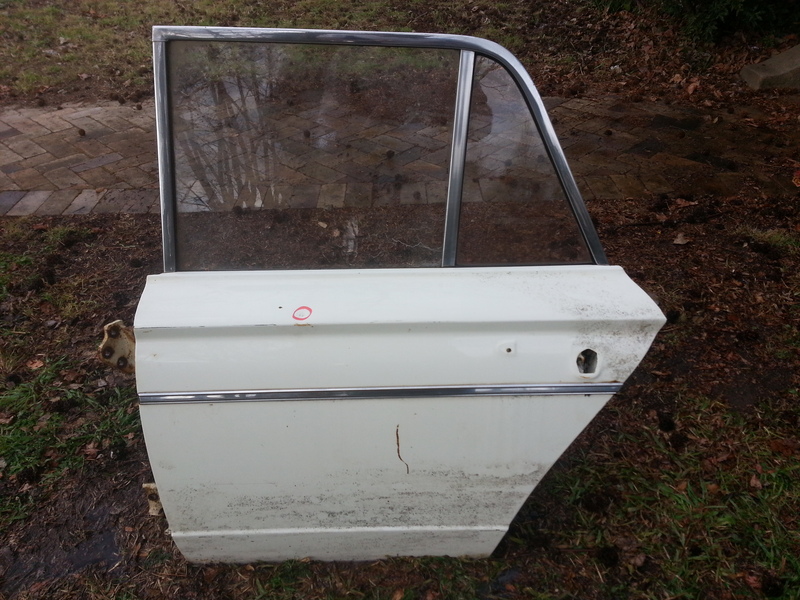 The stainless window frame trim has a minor blemish on the upper part.